Regardless of if you are planning a full house remodel, bathroom remodel, kitchen remodel, or even a room addition, Sol Cal Construction is the desert's leading source for high quality remodeling services. Our goal is to make sure that your home improvement project transforms your space and makes your dream home a reality. Contact us today to discuss your project! Kitchens and Baths By Lynn, Inc. Inspired residential interior design with an emphasis on offering value added services & accessible sustainable product options. Services range from single consultations to multi-room makeovers that may include integrating & repurposing existing furnishings. As a Certified Green AP designer, Ev is an advocate of ‘doing well by doing good’. In presenting decorating/design options to her clients that include ‘eco-friendly’ choices, she provides her clients the opportunity to make a positive difference in their personal living surroundings, address environmental health considerations, and contribute to our planet’s well-being. Just one decision during the home improvement process that leaves a positive footprint on our use of natural resources or regard for the environment, when combined with similar actions by others, creates a legacy on our & our successors' quality of life. Ev's prior experience as an Entertainment & Music attorney has provided her invaluable transferable skills such as attention to detail, creative problem solving, follow through, active listening, & working successfully with a broad spectrum of personalities. A successful interior design practice requires the application of both business practices & creativity. What comes to mind when you consider the idea of “living well”? Coming home to a splendidly comfortable place to share with family and friends? A luxurious private get-away where you can renew body, mind and spirit? Stimulating well-appointed surroundings that inspire you to think, write, cook, paint or do whatever else allows you to express yourself more fully? We believe your home can be all of these…or whatever you wish it to be. When it's convenient, please call us to discuss how you can use our creative abilities and professional expertise to turn your vision of home into a reality. We think you’ll find us surprisingly different…and, above all else, dedicated to making the time you spend at home the ultimate luxury. Since 1969, we have been providing interior design insight, experience and reliability to those who truly value living well. We look forward to including you on our list of delighted clients. Local, Licensed and Insured, Family owned and operated with Over 21 years of experience in the field. Our Slogan "What We Build Ends Up Building us" truly expresses our vision. We believe that merging of highest customer service satisfaction as well as quality work genuinely builds any business; therefore at need for build, from start to finish we make any project a fun and enjoyable process. We guarantee each customer with attention and provide hand in hand guidance throughout any project ensuring an immaculate end result that will have you loving and enjoying every space in home. Complementary in home design and quote consultations. Financing available. Palm Springs' Most Versatile Interior Designer for 35+ Years! What is most important to you: project design, staying on budget, or finishing on schedule? As an Owners Project Manager, I work for you through the entire building and remodeling process, from finding the right architect and contractor, to navigating the process of designing to meet your unique vision and budget. Building the right team for your construction project can be challenging. Priority One Projects takes the stress and worry out of your remodel or new home project by guiding you to the professionals that understand your needs and deliver what you expect. As an Owners Project Manager, I use my expertise and 30 years of experience to ensure your project will run smoothly, finish on time and within budget, and most of all…turn out beautiful! Timeless sophistication, livable luxury and a hint of old Hollywood glamour define Tony Cappoli Interiors. Tony Cappoli and his team combine boundless energy and a fresh eye for elegance with crisp, sumptuous designs that not only command attention but instill a balanced sense of surroundings. TCI recently left Manhattan and relocated its East Coast offices to Palm Springs, California. Cappoli's modern-with-a-twist approach has sealed his reputation as a designer who blends classic elements with a contemporary flair, with a keen sense of comfort, clean lines and a consistent level of detail. His emphasis on traditional and timeless design attracts clients with diverse tastes and lifestyles. Clients include "Sideways" writer/director Alexander Payne, former Red Sox player Manny Ramirez, "Family Stone" producer Michael London, as well as a variety of families throughout the country. Perch LLC is a local Colorado construction and design business which is owned and operated by Brett and Jessica Kelly. We focus on full service residential remodeling and new construction. Our ability to complete projects from design, product selection, and construction through final inspection, utilizing our in-house designer, saves time and expense for our clients. This ability improves scheduling of products to the job site, communications with the construction personnel and establishes accountability with a single source of contact. Both Brett and Jessica Kelly, owners of Perch Construction and Design, work hand in hand as husband and wife team to provide excellent customer service. They utilize a client management system called Coconstruct, which allows for seamless communication via Perch's mobile app or online sign-on. Jessica is a real estate agent as well and can provide real estate services to our clients. Since moving to Denver in 2012, Jessica has been actively designing and staging homes for private clients as well as for Perch's construction clients. Brett works as the General Contractor and Construction Manager working face-to-face with clients and contractors. He has over 7 years experience in Construction Management as well as a Bachelors Degree in CM. Independent Designer of 25+ years decorating homes in the greater Seattle area recently taking on projects in Palm Desert and Palm Springs, CA. 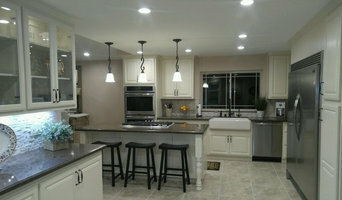 Our team consist of independent professionals in the home remodeling trades. Our unique offering of services is based around the experts in their fields. 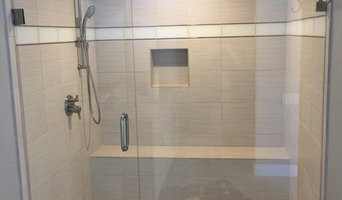 Tile layers, Hardwood floor refinishing, Counter Top suppliers, Cabinet makers, Furniture Craftsman, Window Shades, Licensed Electrician and Plumbers. Selected group of Artist are commissioned for art projects in the community. Our Designers start with selections, hired by the Client or working with Builder`s to specify the materials. Residential window design often requires creative solutions to window treatments, shades and soft panels to enhance a set of windows. Customizing bedding and accessories to complete the rooms. Examples: •Interior Selections for the home, tiles, counter tops, flooring, lighting, plumbing •Furniture shopping, retail or wholesale,furniture placement, room layouts. •Paint color selections , inside or exterior colors •Designing For Sale, helping owners prepare their homes for the Real Estate market. 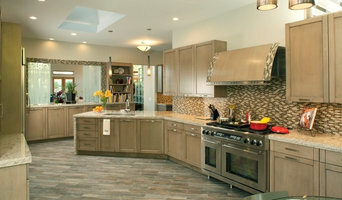 * Kitchen and Bath Remodeling , provide design concepts. * Drafting and design layouts provided. * Specification sheets for contractors to bid from. * 2hr Min in home consultation, Packages available based on priority. * Furniture layouts for a new home or rearranging the existing furniture We are committed to providing you with excellent service and quality products to help you create an environment which is both beautiful and functional for your needs. Whether you are looking for one specific product or you need help with designing an entire home or office, we can help you select beautiful and long-lasting furnishings, floor coverings, window treatments, wall products and accessories. The Interiors firm of Michael A. Thomas, FASID, CAPS offering three decades of experience in residential, second home retreats, kitchen and bath cabinetry along with resort + country club renovations, corporate office + retail store design.